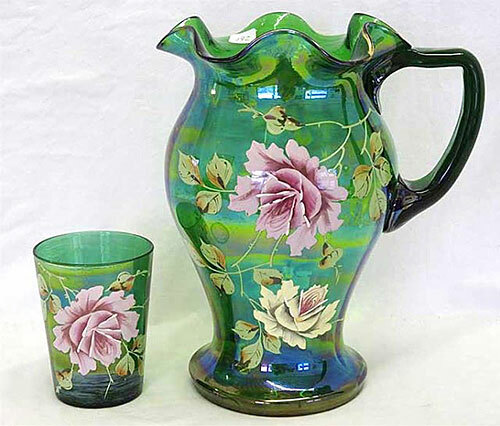 When this water pitcher and tumbler in green sold in 2016, this was the name given to it. I have no idea whether it is the correct identification or not, nor who the maker was. Very handsome, it brought $225.